"So look at me, a harbour in the storm, like a wave born to carry you"
The Swedish Final was held in the Malmö Musikteater on February 24th, hosted by Pernilla Månsson. 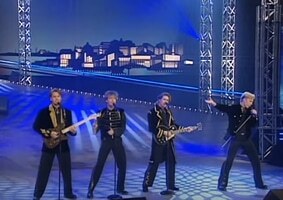 The 10 songs were initially reduced to 5 finalists before the winner was chosen by 11 regional juries. 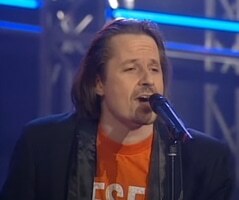 Jan Johansen came 3rd at the ESC. 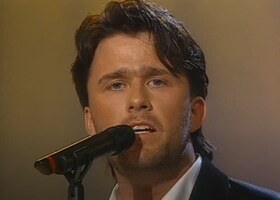 Arvingarna represented Sweden in ESC 1993 while Simon Ådahl was a member of the group Edin-Ådahl that represented Sweden in ESC 1990.